This plugin displays all relevant data for your products. In fact, you can display product title, thumbnail, categories, tag, price, quantity, gift wrap option, and other info. You can also enable sorting. The plugin supports wishlist, WooCommerce Product Gift Wrap, and other popular extensions. 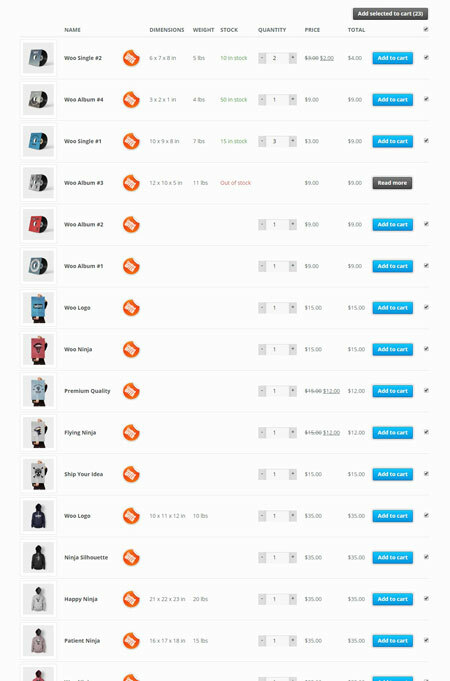 WooCommerce Products List PRO is extensible and developer friendly. It is responsive and ready for mobile devices. It is also translatable. This is a commercial plugin.